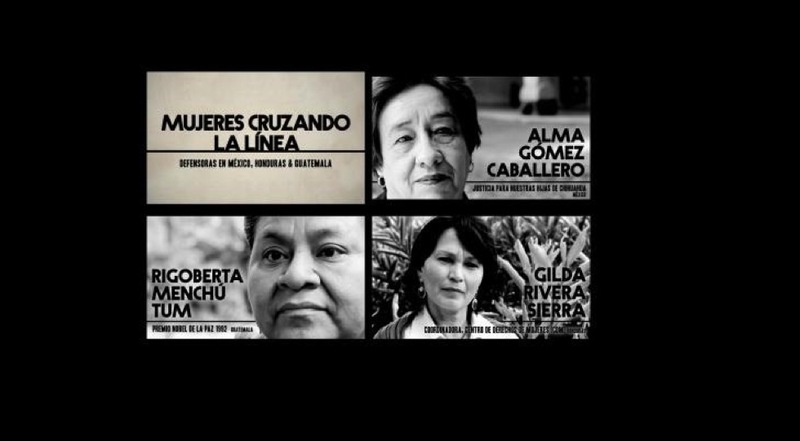 The Women Crossing the Line mini-documentary series showcases the stories of brave and resilient WHRD from Mexico, Honduras, and Guatemala, developed by the Nobel Women’s Initiative in collaboration with JASS Mesoamérica. The second chapter is Women Crossing the Line: Breaking the Silence on Violence against Women in Honduras. In this 15 minute documentary we meet the strong and resilient women of Honduras working to shape a brighter future for their country. You can to hear Gilda and Beta speak about how women are mobilizing to promote peace and democracy in Honduras. Finally, we have Women Crossing the Line: Defending Mother Earth. In Defending Mother Earth we meet women risking their lives to protect their communities against the negative impacts of mining operations in Guatemala. This is the third chapter of the 3 mini-documentary series that spotlights women Human Rights Defenders in Mexico, Honduras, and Guatemala.